A 24 day supply of chelation suppositories help the body in removing toxic heavy metals. Supports a full detox regimen, while added nutritional supplements help to keep your body healthy and balanced throughout the process. Earn up to 4,159 DR Reward Points. DMSA chelation suppositories are a great way to support the body in removing toxic heavy metals. While DMSA is safe for consumption, it can cause certain imbalances in nutrient supplies if taken irresponsibly. This kit provides a 24 day supply of DMSA suppositories needed for a full heavy metal detox, as well as nutritional supplements which help to keep your body healthy and balanced throughout the process. Bypasses the stomach and liver to avoid unnecessary intestinal distress or degradation, as occurs with oral supplements. Special 24 Day Supply Combo Pricing! Save $35.86 off individual pricing and $120.00 off of list prices! 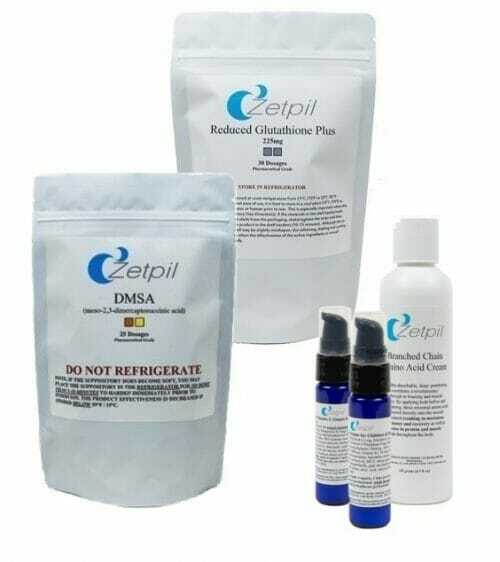 Zetpil DMSA suppositories are made of a sulfur-containing organic compound, Dimercaptosuccinic acid (DMSA), in an advanced all natural suppository base. Chelates heavy metals in the bloodstream in order to support natural bodily detoxification systems in removing them via the urinary tract. Suppository formula provides excellent direct absorption via the lower bowels, without the same degradation in the stomach and liver that occurs with oral supplements. Supports a balanced level of the antioxidant, glutathione. Glutathione is produced naturally in the body and is involved in so many important bodily functions that it is often thought of as the ‘king of antioxidants’. Also includes N-acetyl cysteine (NAC), another vital antioxidant. The suppository base facilitates a direct absorption of glutathione and NAC via the lower bowels, without the degradation in the stomach or liver that occurs when ingesting supplements orally. Zetpil MultiVitamin Ultra Absorbable Cream provides a potent dose of Vitamins A, D, K and E, as well as a handful of other useful nutrients. 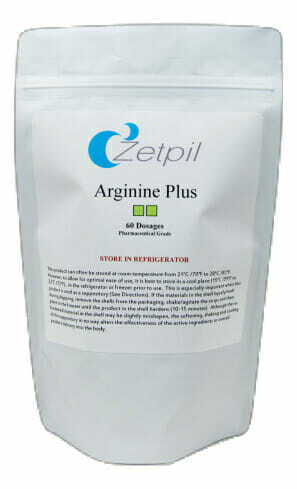 They are absorbed directly through the skin without passing through the digestive system, thus improving the overall bioavailability of these essential nutrients. Cream application helps to overcome nutrient deficiency concerns in individuals with gastrointestinal absorption issues, poor diet, metabolic problems, or health concerns that might prevent one from swallowing a capsule or inserting a suppository. 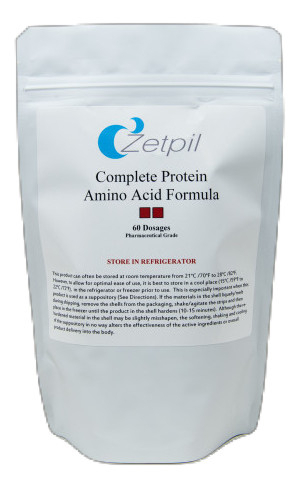 Zetpil MultiMineral and Vitamin C delivers a potent blend of essential dietary minerals which may be removed by DMSA, as well as a substantial dose of vitamin C, in the form of a highly absorbable cream. These nutrients provide necessary support to a wide variety of bodily functions. Cream formulation provides an alternative to the standard capsule multivitamin which is both more convenient to use and easy to absorb. As a foundational element in protein synthesis, branched chain amino acids give support to those who are engaged in diet and exercise routines with the intent of accumulating muscle mass. Also supports energy levels both before and after a workout session. Amino acids help to keep the body properly energized and nourished in response to the effects of DMSA chelation. Cream formulation provides high rates of absorption directly through the skin.